William Brown will be performing the role of Marcus Edwards in the Web series "Solitary," using his real-life experience as an inmate to portray a character in solitary confinement. Every day in California and the rest of the country, throughout state and federal prisons, thousands of individuals are being held in solitary confinement. An inmate can be removed from the general population for a variety of reasons, and can end up spending months, years, and even decades alone in the tiny cells. 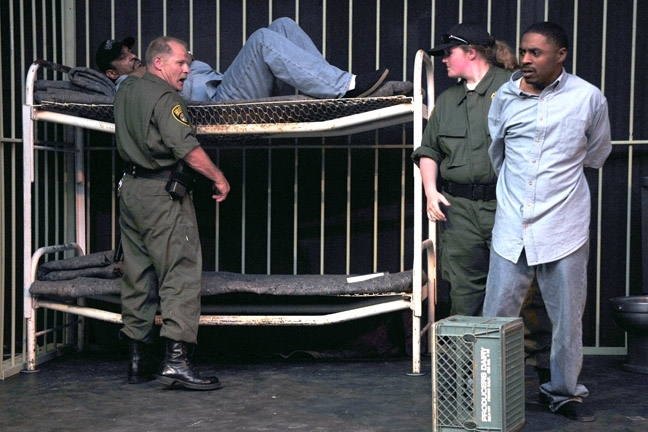 Tobola worked at CMC in San Luis Obispo starting in 2000, when Arts in Corrections was still a funded program. She retired before Arts and Corrections was de-funded in 2010, and she started the Poetic Justice Project, which produces live theater with casts composed of formerly incarcerated performers. The idea of the program formed while Tobola worked at CMC, where she began staging live theater productions in order to get the incarcerated artists to collaborate. The realities of prison life, including solitary confinement, were never far away from the cloistered Arts in Corrections building. The California Art Council just awarded a significant grant to the William James Association to reinstate several Arts in Corrections programs like the one that introduced William Brown to acting. It was during one of these situations—when her program needed a replacement actor—that Tobola met William Brown, a former gang member who had been in and out of federal and state prisons. Brown was new to CMC and was hoping to enter the Arts in Corrections program to engage in poetry and music at the advice of a fellow inmate and friend who was also in the program. Little did Brown know that his friend, Larry Saul, invited him in order to fill the empty role. Tobola described Brown as a “natural talent” who got bit by the acting bug during his time in her Arts in Corrections program. After his release and her retirement, she would call on Brown’s talents to help with Poetic Justice Project productions. 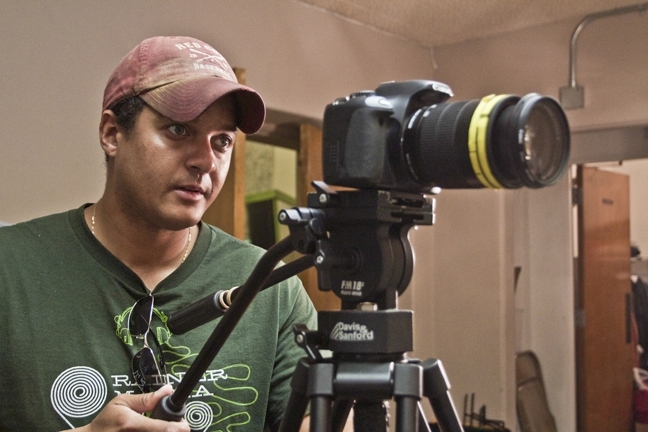 Recently, a director named Ramon Hamilton with Think Ten Media Group contacted Tobola about casting an actor for an upcoming Web series called Solitary, which depicts an inmate’s experience in long-term solitary confinement. Think Ten Media Group acquires, distributes, and produces thought-provoking films that both engage and entertain audiences. More information is available at thinktenmediagroup.com. You can learn more about the Poetic Justice Project at poeticjusticeproject.org. Brown first went to jail for bank robbery at the age of 18. Growing up in South Central Los Angeles, he was part of a gang culture that saw both crime and doing time as rights of passage. After serving his first sentence, Brown got caught up in the gang again and became one of the many released inmates to enter the ranks of recidivists. During his incarceration, Brown spent time in solitary confinement. An inmate can get sent to solitary for a variety of reasons, including violent outbursts, defying guards, or suspected gang involvement. Brown was sent to “the hole” on several separate occasions, usually spending months in solitary. Solitary confinement has a powerful affect on an inmate’s mental health. Guards are trained not to engage with inmates, who are delivered their meals through a slot in the door. The practice has been widely criticized by human rights groups, including the American Civil Liberties Union, and was the impetus for the Pelican Bay hunger strikes that occurred in July of last year. The California Department of Corrections has published reports that show a higher rate of recidivism among those who were held in solitary housing units, especially if the inmate was released directly from solitary. The day after Brown arrived at the CMC, in San Luis Obispo his first son was born, and the new father became determined to make the sentence he was serving his last. He also resolved to do whatever it took to stay out of solitary confinement. That’s when he got involved with Art in Corrections. 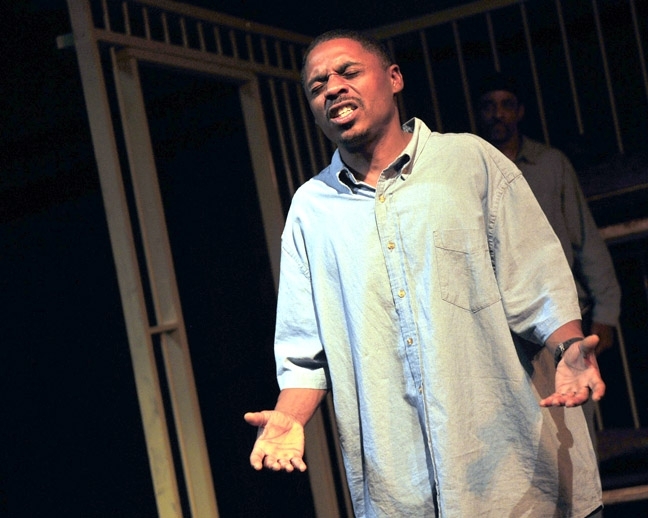 The California Arts Council recently awarded a large grant to the Williams James Association—of which the Poetic Justice Project is a program—in order to return Arts in Corrections programs to 11 California state prisons. The California Department of Corrections and Rehabilitation committed $1 million in funds to add structured Arts in Corrections programs this year, and another commitment for the 2014-15 fiscal year. 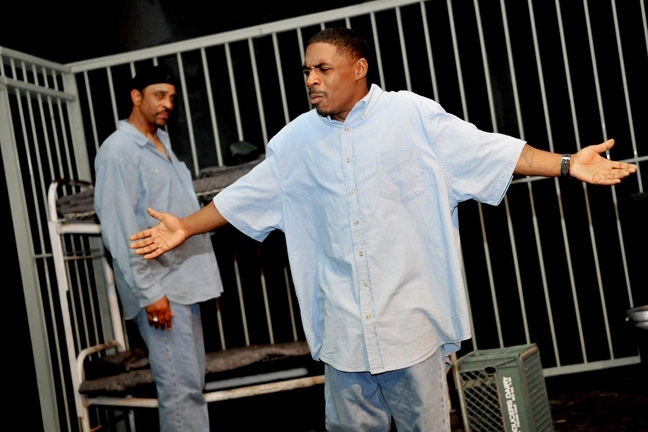 Tobola and the actors with the Poetic Justice Project understand first-hand the benefits of Arts in Corrections programs and use the organization to demonstrate the success of those programs. They also share information about the current state of mass incarceration in the United States, acting as a creative engine with the by-product of raising awareness. That was the challenge Hamilton set out to meet when he started writing Solitary, which, though fiction, is based entirely on real experiences of solitary confinement. Ramon Hamilton and the Think Ten Media Group aim to reveal the conditions of solitary confinement, using first-hand experiences to write "Solitary." A co-producer on the project, Five Mualimmak, is an outspoken activist against solitary confinement, having spent 5 consecutive years in solitary himself. Much of the pilot episode was written after Hamilton spoke with Mualimmak about his experience, down to the most minute of details. People held in solitary confinement for long periods of time report heightened sensitivity of hearing and other senses, as well as auditory and visual hallucinations. 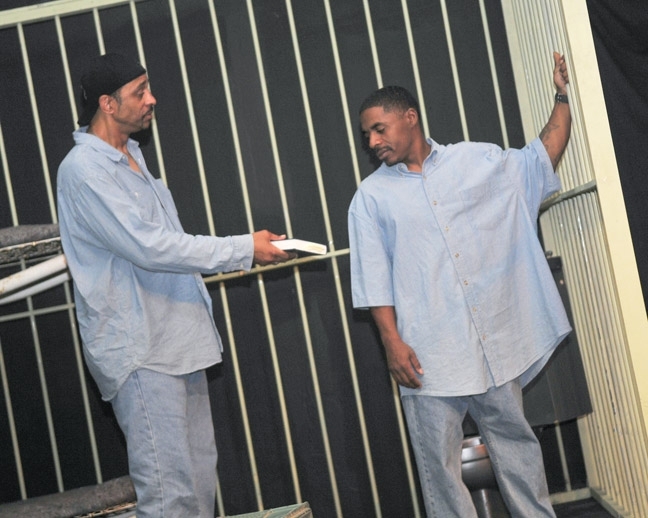 The intensity of the experience made it important to Hamilton that the actor who portrays Solitary’s main character, Marcus Edwards, to have experience with incarceration and solitary confinement. Brown was the only actor auditioned by Think Ten Media Group for the role of Marcus Edwards. That was after Hamilton called Tobola, who recommended Brown. After meeting with Hamilton, talking about his experience, and reading some pages, Brown was asked to come aboard as the lead in Solitary, the pilot of which is scheduled to shoot in August. Brown has been preparing for the role like he would any other. The script is always close by, and any time he isn’t busy with fatherhood, he’s out in his garage, working on his lines. 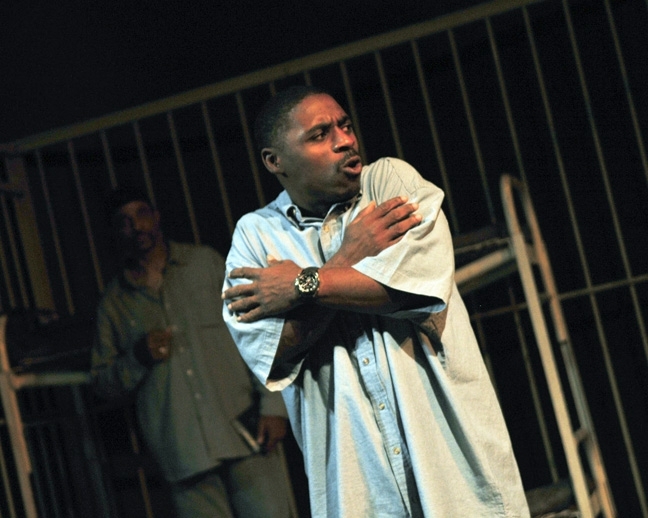 Besides proving to his community that he can have a life after the gang, incarceration, and solitary confinement, Brown hopes that his performance in Solitary will inspire people to look at solitary confinement and incarceration differently. Using the transformative power of art to help turn an experience like incarceration or solitary confinement into a meaningful life experience is the kind of thing that motivated Tobola to start the Poetic Justice Project. She hopes Brown can also serve as an example of the importance of Arts in Corrections programs for the incarcerated. After a dehumanizing experience like solitary confinement or incarceration, the arts can help restore feelings of self-worth, Tobola explained. It can also put a face on the issue. 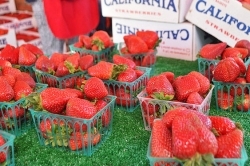 Contact Art Editor Joe Payne at jpayne@santamariasun.com.